Every once in awhile my refrigerator surprises me with just the right leftover to make something I enjoy eating, and it didn't even take much effort. Today was one of those days, a spontaneous recipe came to my mind. Remember when I made white bean and vegetable soup? I used only half of the brined beans and put the other half in my refrigerator. 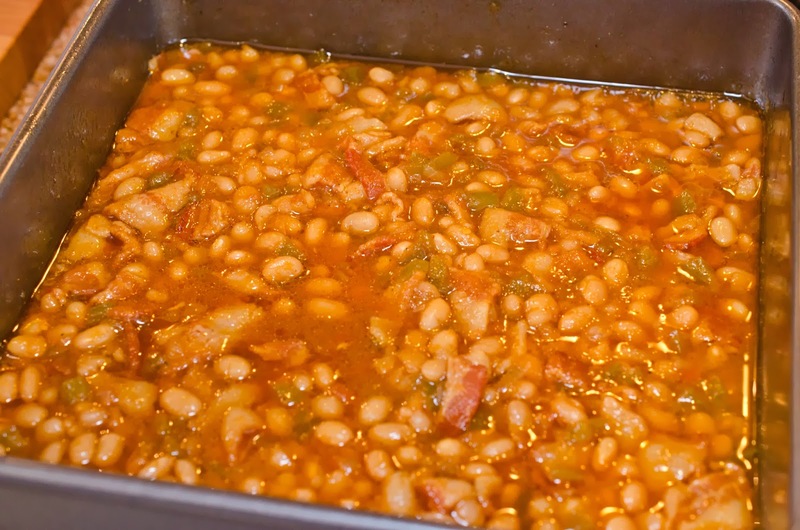 My mind immediately thought of those beans today and decided it was time to make baked beans. Granted, neither my mind nor my body knows how to make baked beans from scratch. 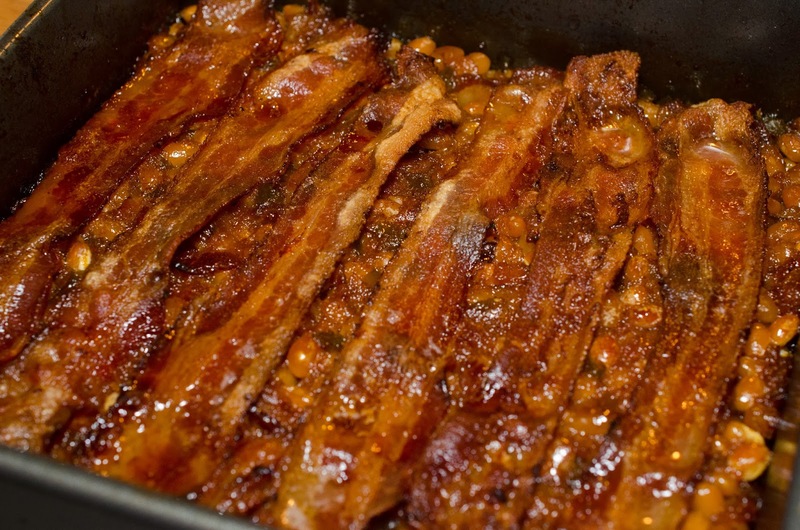 When I looked up a recipe, I was surprised to find that almost all of the recipes started with a can of pork and beans. This won't do. I have uncooked beans and a van frozen on the street. The buses are not working in my favor (late and sporadic). 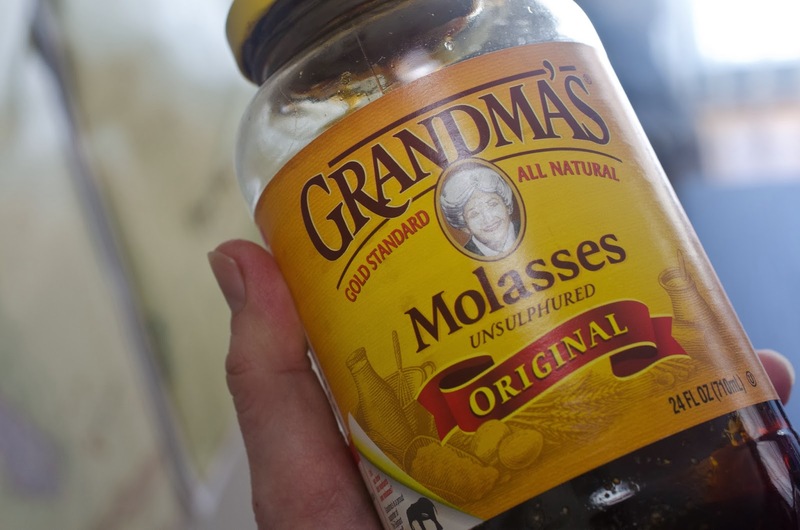 Only one answer, make it up, find the ingredients that produce the wonderful flavor of baked beans and make it or fake it. I should mention, none of my family like beans. 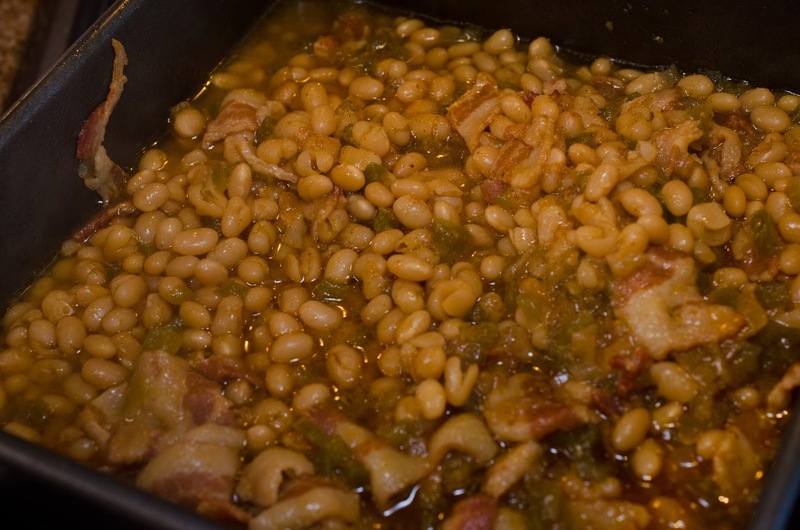 So, when I make beans, it is really just for me and so this recipe doesn't feed a family (you'll need to double it if you are feeding more than two people). 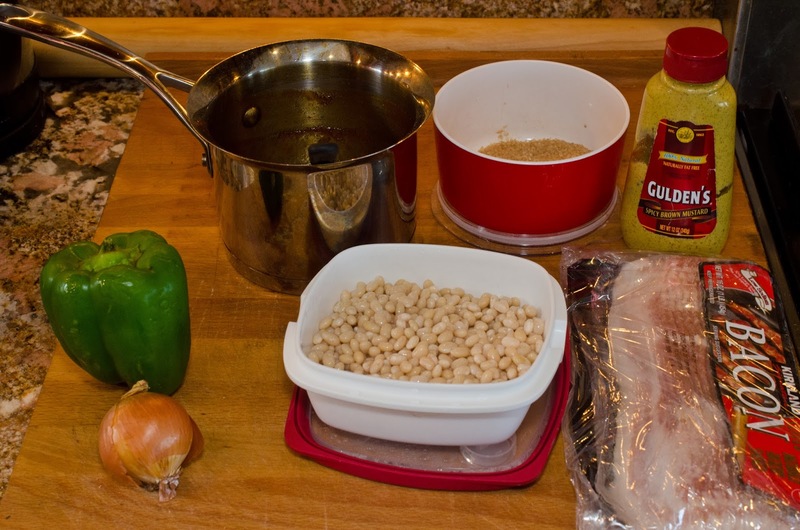 What do you think for my very first totally from scratch baked beans? 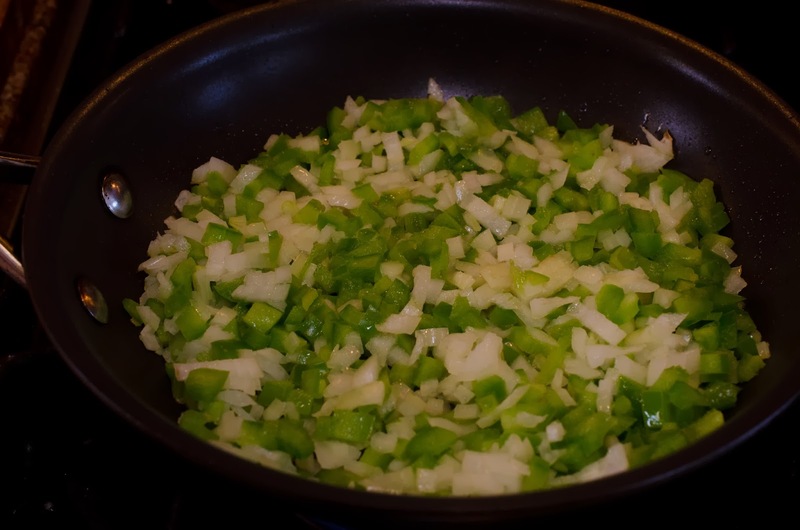 Saute vegetables in your choice of 2 tablespoons of oil. I used Olive Oil. 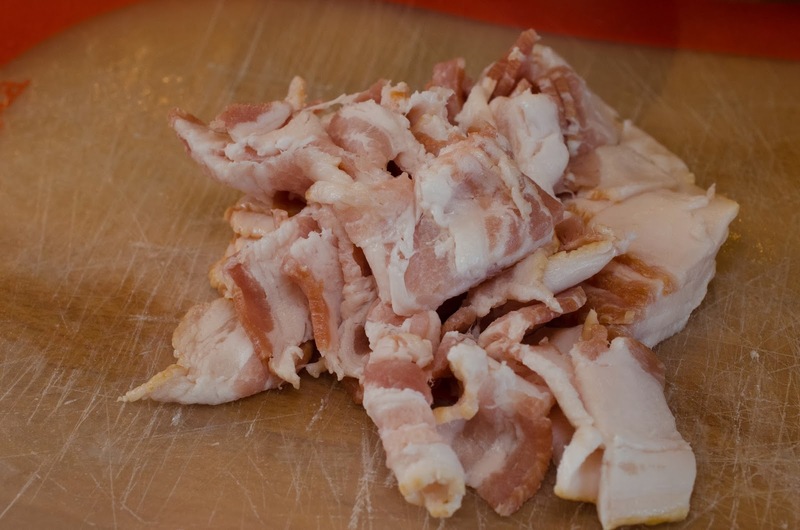 Cut six slices of bacon into 1 inch pieces. 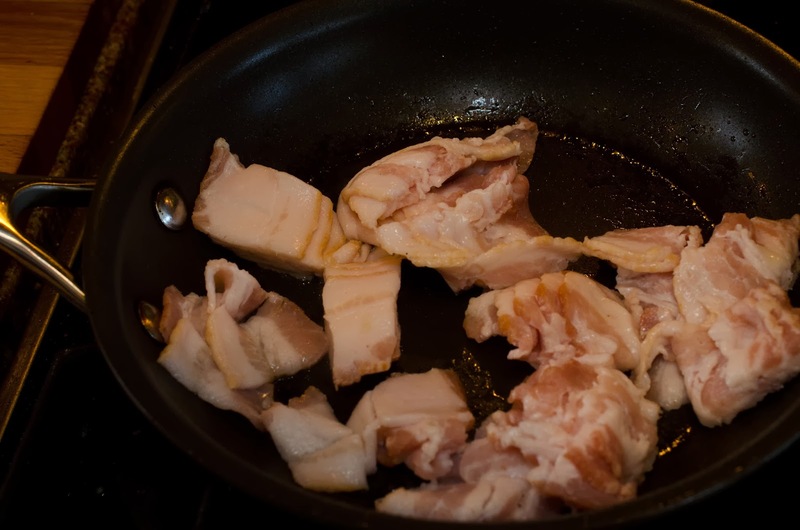 Saute bacon slightly, to render some of the fat (reduce the fat). Just a little golden brown, and a little less fatty. 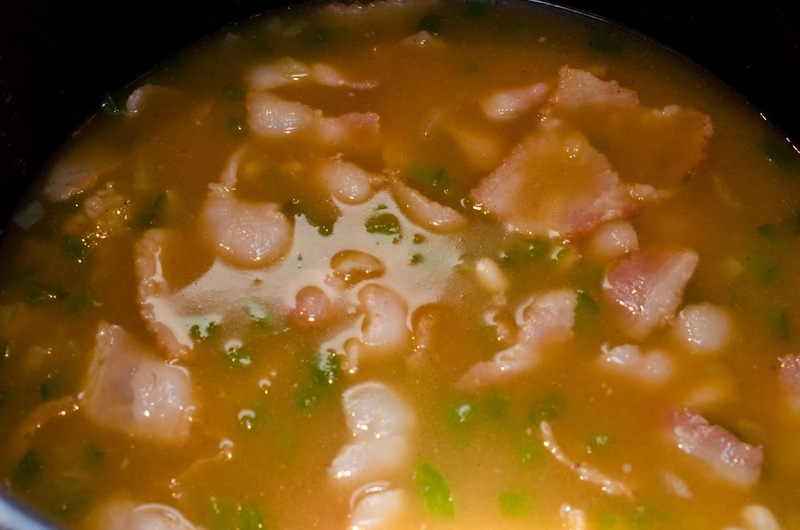 Add all the ingredients (only add 1/2 cup of the barbecue sauce) and enough water to cover beans by two inches, to a pressure cooker pot, or a stock pot. Cover with lid, set pressure cooker to high for 30 minutes. 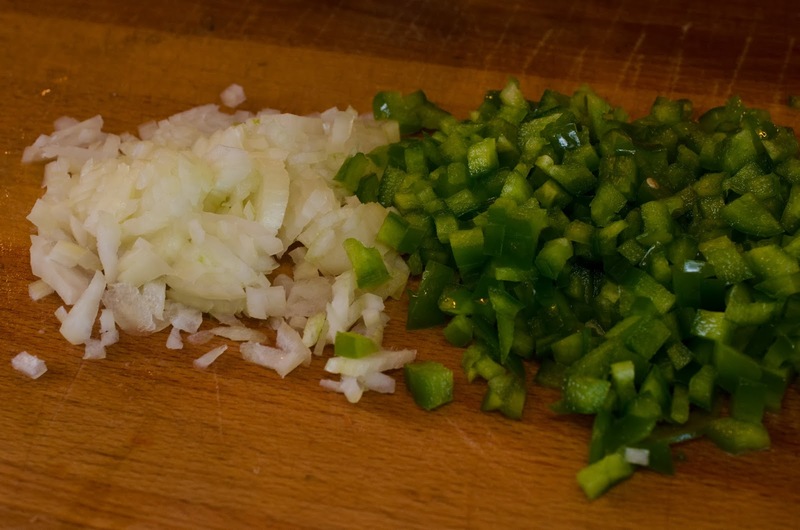 Cook on stovetop on medium until boiling, reduce heat and simmer for 1-2 hours until beans are tender. 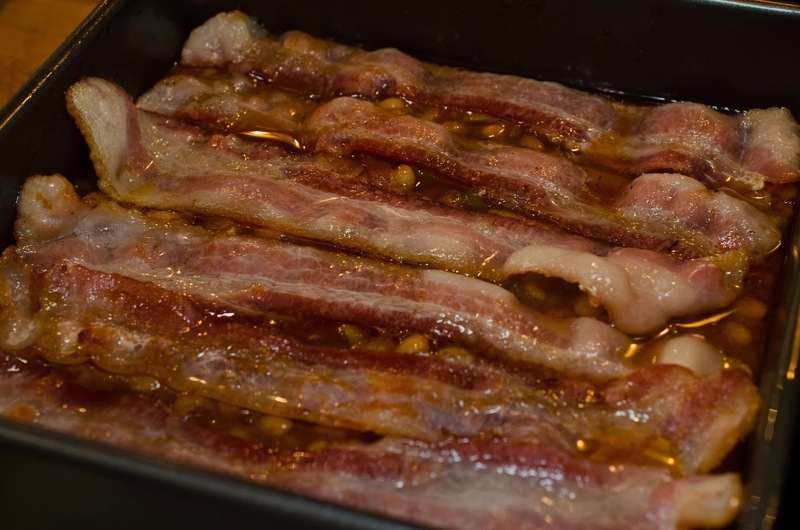 Add 2 tablespoons molasses and 1/2 cup of barbecue sauce. 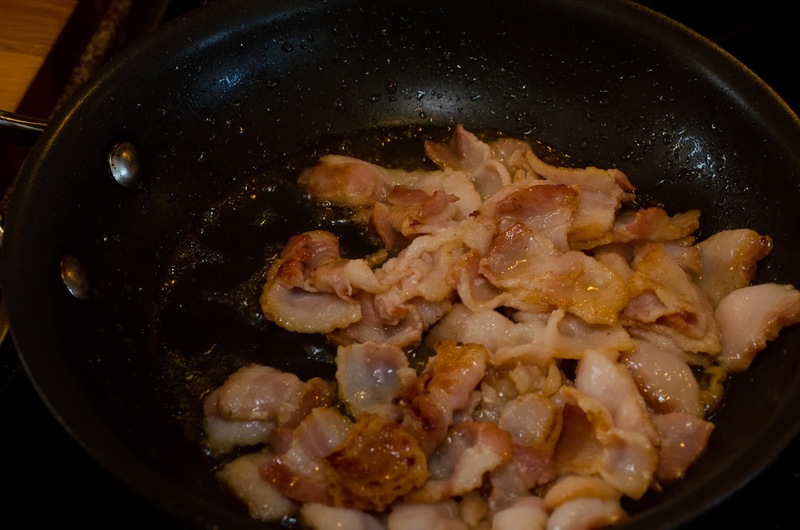 Cook the remaining 6 pieces of bacon slightly, until some fat is rendered and golden brown. The beans with the extra goodness added. 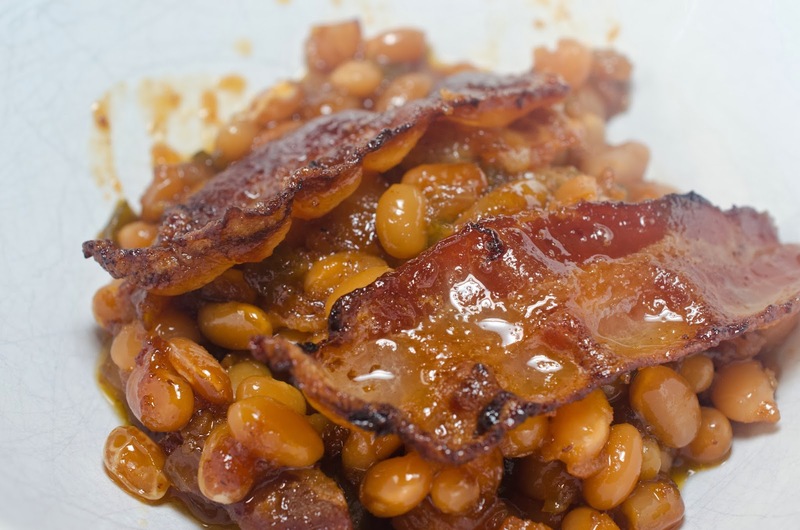 Place bacon on beans. Bake in oven for 1 1/2 hours. Do you see the difference? Oh my goodness does this smell spectacular? 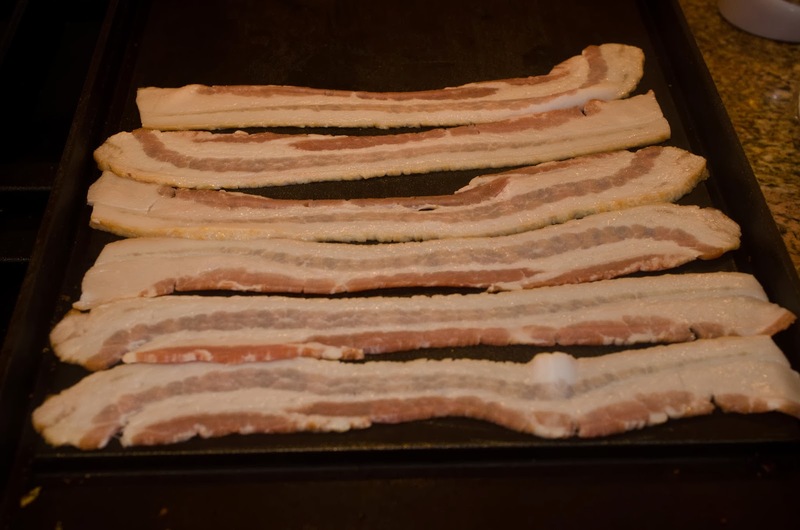 this doesn't make very much, so remember if you are cooking for a family, double it. Can I just say "Wow"? Those look unbelievably good.